For a long time, Sony has wanted to bring the console experience to handheld devices, and the PlayStation Vita represents its most successful attempt to date, armed as it is with impressive visual capabilities and a wealth of control options. Ironically, the Vita's early games ignored the Vita's strength in this regard, instead focusing on tech demos for touch controls in an industry where touch control has very much been demonstrated to death. 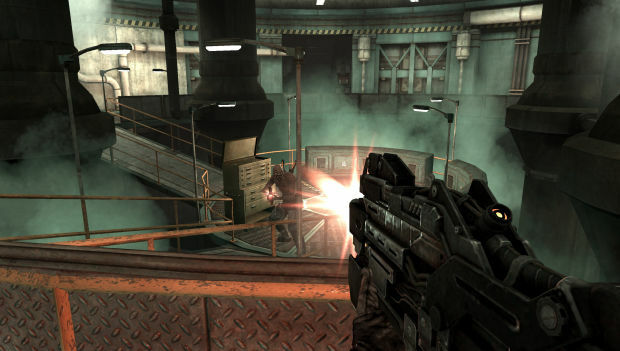 Resistance: Burning Skies was the potential jewel in the crown, though, an online-capable first-person shooter to show the world just how close a gamer can come to playing their favorite titles on the go. As the world's first portable twin-stick FPS, Burning Skies had a golden opportunity to set a benchmark for handheld gaming. Instead, it settled on being the new worst Vita game to date. Set in 1951, Burning Skies takes us to the Chimera's initial invasion of North America, as firefighter Tom Riley finds himself caught in the vanguard of the twisted mutant menace. Armed with a sturdy axe and whatever firearms he can find, Riley's only concern is reuniting with his wife and child, who went missing during the early civilian evacuations. 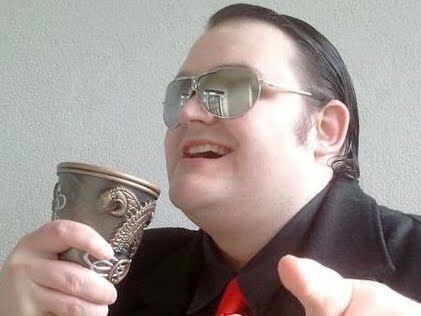 The game's poor story, interspersed as it is with vapid attempts at emotional depth, is indicative of what Burning Skies is -- little more than a poor reflection of the original console trilogy, a cheap copy that, had it not been officially licensed by Sony, could be mistaken for some illegal, plagiarizing, knock-off. As Riley fights through five short levels, players will find little more than dull, slow-paced shootouts against small collections of enemies through a range of pointless corridors, utilizing a bland cover system that the opposition will mostly ignore. Most of the fighting isn't exactly terrible, it's just mediocre and predictable. Every battle feels slow and restricted, as a small number of Chimera regularly show up to shoot and die with little fanfare. Thanks to a scarcity of action onscreen, things feel lackluster and uninspiring, a far cry from the atmospheric and chaotic struggles seen in the highly enjoyable Resistance 3. Much of Burning Skies' campaign simply goes through the motions, providing absolutely nothing we didn't see in the genre years ago while adding none of the thrills and excitement we're used to seeing in many modern titles. In many ways, it feels like quite an old shooter from generations past, but not one of the lasting classics. Touch controls have been forced in wherever possible, but unlike Unit 13's smart use of the screens, Burning Skies doesn't take player comfort into account. 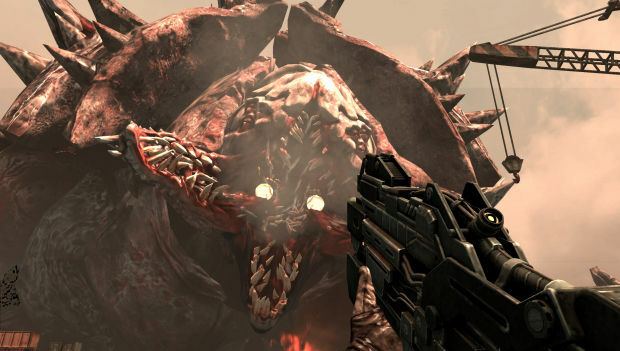 Opening doors requires touching a small icon in the center of the screen, while the alternative fire modes for every weapon need enemies to be individually prodded or gun bodies to be slid across, even in the middle of a fight that would require hands to be on the real controls. Being able to touch the grenade and melee icons at the side of the screen is a smart move, as these virtual buttons are conveniently placed and open up the control scheme, but everything else feels contrived, and included at the expense of usability. Things get worse toward the end, where it begins to look like the developers just stopped caring. The closing sections are happy to just keep throwing the player into big rooms without cover and spawning larger numbers of Chimera in a rather embarrassing attempt to manufacture a sense of challenge. The last level in particular straddles the line between exasperating and tiresome, culminating in one of the most insipid and pointless boss encounters I've witnessed in quite some time. Game design doesn't get more basic and uninspiring than Burning Skies. The disappointing campaign could be forgiven if the multiplayer was any good, but once again, it feels like a lifeless shadow of its console brethren. The basics are in place -- three game modes (deathmatch, team deathmatch, and infection), with up to three customizable loadouts and a compulsory experience system -- but basics are where the game begins and ends. 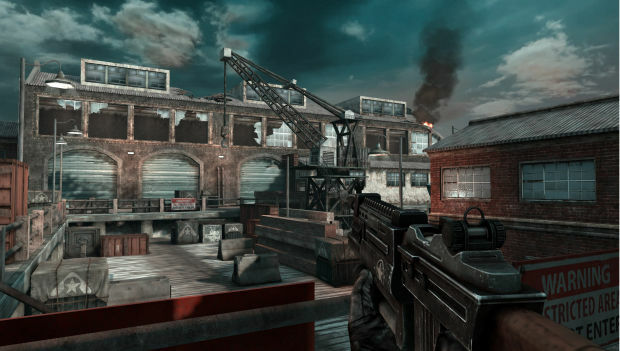 Once you get into a match, you're forced to fight in confined, visually unstimulating, ill designed maps, where no care was taken into setting sensible spawn points or providing anything other than a series of rooms in which bored people can shoot at each other. The online experience is laggy, with a framerate that makes everything feel like it's in slow motion, and scoreboards don't work properly (in one match, the enemy team kept showing up as having zero points, when in fact it was winning). I once died thrice in a row, collapsing dead to the ground as soon as I spawned, with the same player shown as having killed me and no indication as to how. Another time, players were frozen in place, and there have already been problems with people getting booted out of a session. As far as presentation goes, in both the campaign and multiplayer, Resistance: Burning Skies feels unfinished. Severely unfinished. Don't believe the screenshots attached to this review -- this is an ugly game, and it doesn't look anywhere near as good as several of the Vita's launch titles (tellingly, this game blocks the Vita's screen capture software). Environment textures and features on NPCs are bland, flat, and lacking in color. The only modicum of effort seems to have been put into the guns, which look relatively nice, and there's a pleasant bit of lighting here and there, but the Chimera lack much in the way of detail and human faces are creepily devoid of texture, making them look rubbery and nightmarish. Compared to a game like Uncharted: Golden Abyss, the graphics found here are despicable and embarrassing. Even worse are those moments where it's just obvious that a feature was left blatantly incomplete. From the mouths of NPCs not moving to environments displaying hideous artifacts along edges and corners, there's a lot missing in Burning Skies that you usually only see left out of obscure budget games. You can sprint, but after a while Riley will stop dead in his tracks. He won't return to a walking pace, he won't slow down before needing a breather, he will literally just stop dead in his tracks and you'll have to take your finger off the stick in order to move him again, since absolutely nothing was added to portray a loss of stamina. In multiplayer, there is no animation or sound effect for melee kills. If you're killed by a melee attack, you'll abruptly die in silence, and it actually took me a few deaths to work out why I kept falling over for no reason. When enemies die, their frozen corpses will slowly glide along the floor before suddenly and sharply disappearing. Cutscenes play at the start of every level and cannot be skipped, even if you're replaying a stage or loading from a checkpoint halfway through, and they're compressed to a disgusting degree. In short, the whole thing feels like some sort of pre-alpha build mistakenly released as a real game. 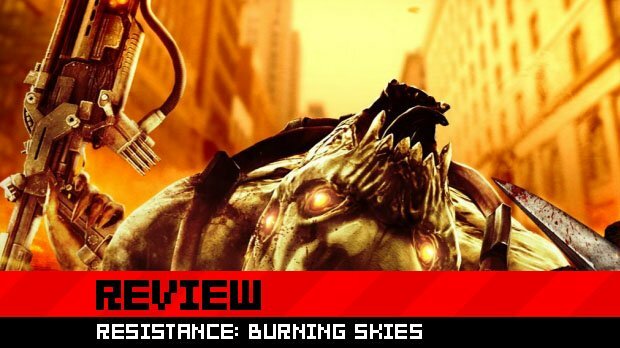 Resistance: Burning Skies may hope that its flaws are overlooked due to the novelty of being the Vita's first FPS, but even with nothing on the system to directly compare it to, any fool could see just how pathetic this game is. The best that can be said is that the shooting itself is fairly competent. It works. However, it works in a pedestrian and insignificant little game that seems as if it was desperately rushed in order to meet a deadline. If, like me, you've been waiting to see how a first-person shooter feels on the Vita, then I can say that this game proves the potential of the genre. However, if you'd like your first Vita FPS to actually be good, then wait for something else, because Resistance: Burning Skies is far from acceptable. It is visually atrocious, interactively vapid and incomplete to a degree that a full retail price is an insult. It's tempting to buy this just to have something new on the system, but good things come to those that wait, and it's hard to imagine anything not being good compared to this mess.